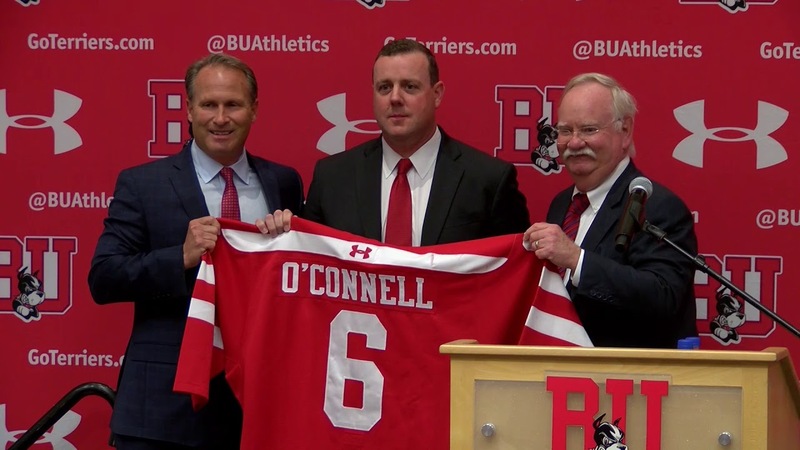 The 2018-2019 edition of BU Terrier Hockey will be unveiled this evening as they take on the Acadia University Axemen (from Nova Scotia) in a 7:00 match at Agganis Arena. Tonight's game marks the beginning of the Albie O'Connell era and will be the first chance BU fans get to see the highly regarded incoming freshmen class and graduate transfer Max Willman. The Terriers enter the season with a #8 preseason ranking from USCHO. Of the four 30+ point scorers from last season, Jordan Greenway and Brady Tkachuk have departed BU early in order to start their NHL careers. However, senior forward Bobo Carpenter (20-15-35) and sophomore forward Shane Bowers (17-15-32) will return to Agganis for their senior and sophomore seasons, respectively. Coming back from an illness that prematurely ended his sophomore season, junior forward Patrick Harper had been averaging better than a point per game through the first half of the 2017-2018 campaign. On the blueline, juniors Dante Fabbro (9-20-29) and Chad Krys (7-20-27) will be returning and incoming defenseman Hugo Blixt (Vasteras, Sweden), who played last season with USHL's Tri-City Storm, is expected to play a shut-down role on the Terrier defense. Junior netminder Jake Oettinger (2.45 GAA, .915 save percentage) will be in goal. 2019 recruit goalie Vinnie Purpura made a relief appearance for USHL Omaha and stopped seven of eight shots as the Lancers defeated the Lincoln Stars last night. Coach Brian Durocher began his 14th season as head coach last night against Northeastern University, but his Terriers were shut-out 5-0 in their regular season opener at Walter Brown Arena. This afternoon three different Terriers lit the lamp as BU and NU skated to a 3-3 tie at Matthews Arena (more details in tomorrow's update).